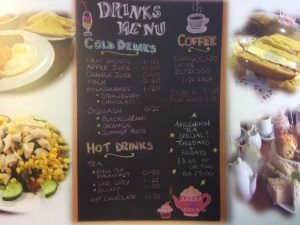 LJ’s Cafe is based within the Hucclecote Community Centre. There are weekly specials as well as healthy breakfasts, vegetarian options, salads, hot meals and a children’s menu. LJ’s Cafe is part of LJ Catering which is a family run business, established for 17 years. Lisa has over 20 years experience in the catering trade and has a passion for working with food. She has catered for many companies throughout Gloucestershire and has formed a reputable business. Through positive word of mouth she has catered for private functions and has always had satisfied customers and positive feedback. If you have an event at the Community Centre or outside and are looking for catering then contact Lisa on 07909 861300.